Seachtain na Gaeilge was on in Scoil Mhuire last week and it was a week of great fun. There were table quizzes, live TV performances, brilliant art work, superb creative writing, excellent singing and recorder playing and our annual ‘céilí agus ceoilchoirma’. 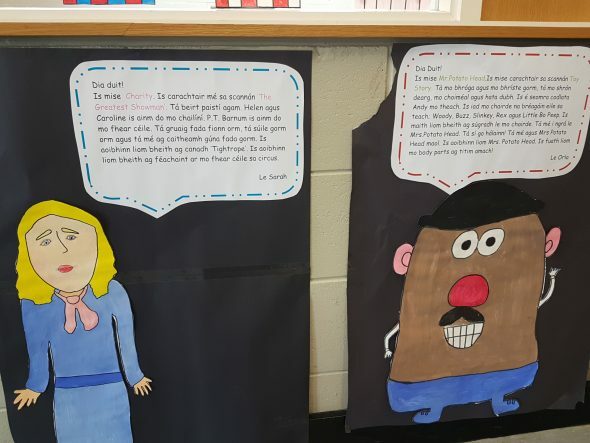 Tá fís beag de bhauicphointí na seachtain ar Teilifís Scoil Mhuire anois. Highlights of the week are playing on Scoil Mhuire TV now. Click the link below!